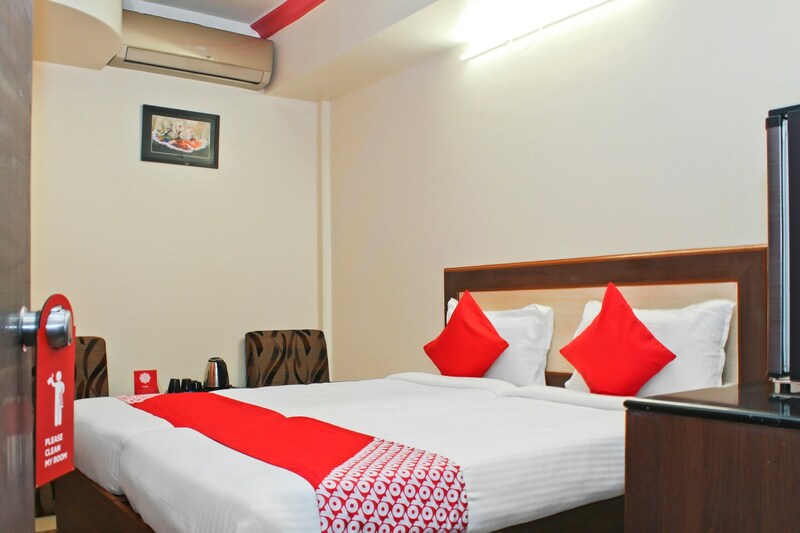 Hotel Jayratna is situated in Indrayaninagar Chowk, S Block, MIDC, Bhosari, Pimpri Chinchwad, Pune. The property has bright and peaceful rooms. The grand and spacious halls are suitable for any events, conferences and meetings. They offer a comfortable and satisfied stay. The property offers guest kitchen facility for the visitors to cook their own food. They also have an in-house restaurant for the visitors with a spacious dining area. The property is suitable of conducting events and meetings in its banquet halls and conference rooms. The property offers amenities like power backup facility, parking facility, cash less card payment options and CCTV camera monitoring for the security of the visitors. The visitors of the property can enjoy their stay by wandering around key attractions of the city like Shivaji Park Lake, Buddhist Temple, Parvati, Vetal Hill, Pashan Tekdi, Ray Band Point and Chinchwad Forest. There are many restaurants located around the property like LPs Biriyani House, Maratha Restaurant, Hotel Famaish, Usha Kiran Restaurant, Saojis Kitchen and Pune Zaika Chinese Restaurant.